Place the pork in a large bowl and season with salt and pepper. Heat ½ tbsp of the rapeseed oil in a small pan and gently fry the Thai paste for 2 minutes. Allow to cool. 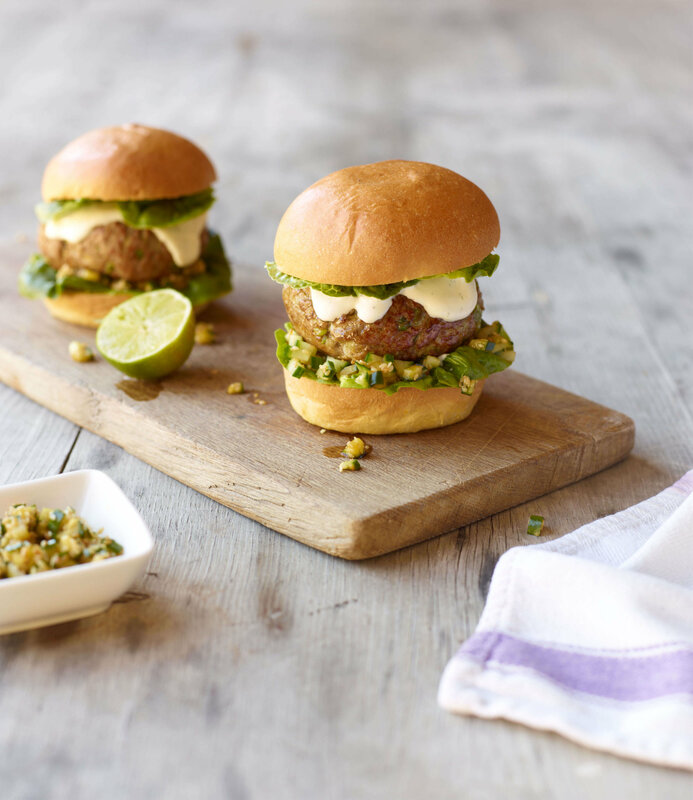 Mix the Thai paste, breadcrumbs & spring onions into the pork and shape into 3 equal burgers. Heat the remaining oil in a large frying pan and cook the burgers for 6–7 minutes on each side, or until golden and cooked through. Meanwhile, mix the lime mayo ingredients together and season to taste. Mix the cucumber pickle ingredients together and season to taste. Split the warm brioche buns in half and layer bottom half with baby gem leaves and a spoonful of cucumber pickle. Top each half with a burger and add a dollop of lime mayo. Sit remaining brioche bun on top and serve straight away with extra cucumber pickle and lime mayo.